﻿The condition to obtain a Functional Diagnostic Nutrition (FDN) certificate, as I did, is "learn to fix yourself so you can fix others". And the Intestinal Barrier Function Screen. ﻿A coach was assigned to me, wherein her requirement was that I proceed with an extra test, called metabolic typing. This test was done via questionnaires. According to my coach this would help determine my oxidation rate and therefore what type of diet was best for my health. Based on the questionnaire, it was determined that I was a fast oxidizer and I was given a diet for fast oxidation rate, which comprised of high fat and lots of meat and a list of supplements from Ultra-Life, the supplement supplier for the Healthexcel System of Metabolic Typing. Throughout the FDN course, I was also encouraged to do a ﻿GI Pathogen Screen – BH #401H. ﻿This stool analysis determines the presence of ova and parasites such as protozoa, flatworms, and roundworms; Cryptosporidium parvum, Entamoeba histolytica, and Giardia lamblia antigens; bacteria, fungi (including yeasts), and occult blood; and Clostridium difficile colitis toxins A and B. No parasites in my stool were found which made me and my coach very perplexed. Thus, after so many different diagnostic tests, I asked my coach to be tested for a Hair Tissue Mineral Analysis (HTMA). The lab used by FDN is Trace Elements (TEI). 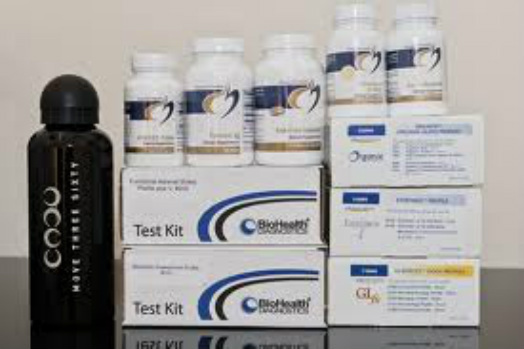 In between doing diagnostic tests, I was on a protocol of diet and supplements recommended by my FDN coach. When I received my HTMA results, it indicated, amongst other things, a﻿ copper toxicity. Based on the HTMA results, it became clear that the protocol given to me by my FDN coach was making my biochemistry worse, although at the time I did not know it. I was taking black licorice or other stimulating supplements, which only made it worse. Also, in view of my copper toxicity and other﻿ toxic metals, the GI Pathogen Screen – BH #401H, ﻿was also not accurate. In fact, I learned later that stool exams, which can cost a client a lot of money, are used commonly, but are notoriously inaccurate. The reason is that the laboratory only analyzes a small amount of the stool. It may not contain the parasites, even though they are present in the body. Parasites also go through live cycles, and an exam done at the wrong time of the month, so to speak, will miss the eggs or ova or the entire parasites for this reason, as well. Due to my copper overload, I was then asked by my coach to do a pyroluria urine test. The kit was delivered to my home by the FDN head office, located in San Diego. Once I collected the urine, I was to pour it into an amber vial with ascorbic acid preservative and keep it in the freezer until I was ready to ship it. This test is usually only available in the USA because of its traveling time of only 24 hours. I shipped my sample via Fedex from Canada, hoping it would arrive on time at the US lab, and I was advised by the FDN head office that it had arrived on time, even though I had contacted the lab the day before to be advised it was not in their data base. ﻿My coach, having learned of this diagnose, was very thrilled that her FDN efforts of "investigation" proved to work, since now she felt she knew the answer to my symptoms, which appeared then to be related to pyroluria. Unfortunately however, Mr. Davis advised me a few days later, that he had made, "oops a mistake." My urine test was negative. "Functional Nutrition is related to the field of functional medicine, which according to the IFM (Institute of Functional Medicine) is a personalized medicine wherein it acknowledges that, in many cases, diagnostic testing might be superior to guesswork and speculation on which underlying functional imbalance may cause the patient’s signs and symptoms. 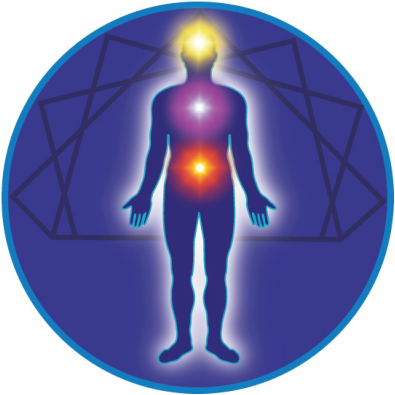 The philosophy is based on helping the body help itself with the application of holistic natural protocols and lifestyle modification. It is a type of detective work that seeks to identify and correct the underlying causes of a disease instead of treating symptoms. It is an emerging field and body of work that bridges the gap between clinical nutrition and functional medicine. Once healing opportunities are identified, FDN's engage each client in a process of healing using their own protocols." Also, these tests do not reveal your toxic metals and level of minerals and as a result, any protocols given are usually often in conflict with our biochemistry. Certainly this was the case for me, as I was given stimulants for my adrenal glands, which should not have been recommended. I was wired when I needed to let my adrenals rest. ﻿I must say that I was not really familiar with﻿ metabolic typing ﻿until FDN. However ﻿Dr. Lawrence Wilson, ﻿advised me that ﻿Dr. Paul Eck, ﻿a biochemist by trade and founder of nutritional balancing science, expanded our understanding of the oxidation types from﻿ Dr. George Watson, ﻿who had first described a group of individuals as slow and fast oxidizers. 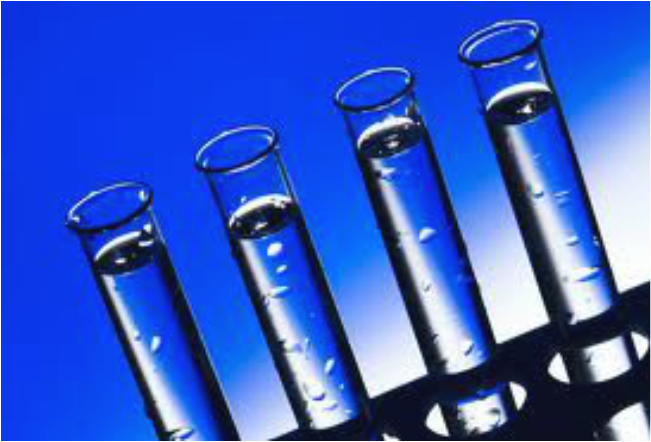 During the 1970's, Dr. Eck researched﻿ hair mineral analysis ﻿and its relation to body chemistry. He was indeed intrigued by Dr. Watson's oxidation concept and began experimenting with ways to identify the oxidation type via﻿ hair mineral analysis. ﻿Based on Dr. Eck's findings and years of research, he was able to settle on a definition of oxidation rate, whether slow, fast or mixed, by accurately calculate the mineral ratios, on a properly performed hair mineral analysis. ﻿"WARNING:﻿ Metabolic typing that is offered by some other individuals and groups is not the same as that presented in this article. Please be warned that other systems of metabolic typing, and other methods to assess the oxidation type are different and may be incorrect, confusing and dangerous." "TEI does not offer current nutritional balancing science. TEI lab uses an older and much less effective variant of Dr. Eck’s method of interpretation. They do not recognize the newer patterns such as four lows, sympathetic dominance, the hill, the bowl and many, many others. Their graph is much harder to read, their test interpretations and diet suggestions are old and outdated, and the results are not as good". After learning the truth from Dr. Wilson and after reading some of his articles, I did not proceed in taking further courses with FDN, such as becoming a Metabolic Typing practitioner. The voice of reason prevailed! Having had the great fortune of being tested in 1994, by Dr. Eck, from Analytical Research Labs Inc., I would not had the insight and wisdom of my health today. It came full circle, thanks to FDN and its oops mistake. I am most very grateful for having completed my FDN certification course and gone through all the lab tests and I am mostly grateful for being awaken to something better for me and for my clients. I find that the accuracy of a Hair Mineral Analysis is very reliable and from my experience, I find that a properly performed and properly interpreted HMA is just as good, and usually far better than any hormone tests. Nutritional Balancing Science is a full program! "There is no simple path to completely avoid health-related suffering. We can only choose in which way we want to suffer. We can either deliberately and cheerfully endure the unpleasantness of repeated healing crises with the promise of better health to follow by following a nutritional balancing program OR we can expect to suffer involuntarily and in an uncontrolled way from chronic-degenerative diseases as we get older and use methods in between to stimulate our hormones in an already burnout body. " ﻿Without a doubt there is a huge market for diagnostic lab tests and many nutritionists and even doctors are recommending it because, amongst other things, many people do not have time to really look after their health (bills to pay, things to do, things to see, etc.) and thus have no time for retracing old infections and prefer looking for anti-aging formulas that are in my opinion, simply a gimmick. By searching for quick fixes, you can reasonably expect to eventually suffer from chronic-degenerative diseases, as you get close to your 40's and 50's. Also, there are no other programs out there that glorifies God like the Nutritional Balancing Program. What I mean is, with a properly performed and properly interpreted hair mineral analysis, the program clears out internal toxins from your body, your mind and your spirit which keeps you in state of fear, anger, denial, delusion, unconscious, and unconnected. The program basically gives you a much better perspective on your spirituality, your faith or lack thereof and your true calling in this life. You become attached to what matters and detached from things, places and people that cause you stress and you get to experience love while getting healthier. You may think, Josephine is being biased ~ However please know that, I have no reason to be, as I can, if I so wish, proceed with hormone tests for my clients and provide protocols to suit only their immediate needs, although I know that hormone tests are not sensitive enough, and do not give the same information as a correctly interpreted hair mineral analysis. Knowing what I know, my decision in giving my clients' optimal care is based on my personal experience and also Dr. Wilson's 35 years’ experience. I rather leave the quick fixes for other practitioners in the business of wellness and provide a complete health change, inside and out to my clients who are prepared to take the road less traveled. Based on the above, I continue to recommend first a Hair Tissue Mineral Analysis (HTMA) from Analytical Research Labs Inc. The beauty in all of this is that the choice is yours! If you are looking for symptomatic relief then FDN is for you. On the other hand, if you are the kind of person who wants to heal your entire body and balance your biochemistry then you should consider having your hair tested and embark on a Nutritional Balancing program. Josephine Certified Nutritionist. She earned and completed her certification in holistic nutrition and in Functional Diagnostic Nutrition and she is now practicing Hair Mineral Analysis and Nutritional Balancing Science to people all over the globe from her home in Vancouver, British Columbia. You can contact Josephine here.